The Capital Trails Coalition was formally established after the second annual Trails Symposium in November 2015. Since then, the Coalition has seen our outreach and education efforts grow. However, the Coalition needed more data. To that end, we undertook an unprecedented data-gathering effort to better understand the nuances of trail planning in the DC region. To define what was part of the Capital Trails Network, we first generated the Criteria for Network Inclusion, a framework for what was included in the network. These criterion allowed us to narrow down to exactly the types of trails we wanted to focus on. We met with transportation and trail planners and geographic information system (GIS) specialists at each of the member jurisdictions (Washington DC, Montgomery County, Prince George’s County, Fairfax County, Arlington County, and the City of Alexandria) and National Park Service. Though each jurisdiction does trail planning and development differently, the coalition’s first challenge was to standardize the data and determine which trails met our criteria. To that end, we received trails data from each jurisdiction and got to work. After our careful analysis, we doubled back around and did another round of in-jurisdiction meetings to verify the map and ensure nothing was missing. The end result is our network map, which shows both existing and planned trails that meet the Coalition’s mutually agreed upon criteria! As more data becomes available and planned trail segments open to the public, the Coalition will return to the trail planners annually to update the map. 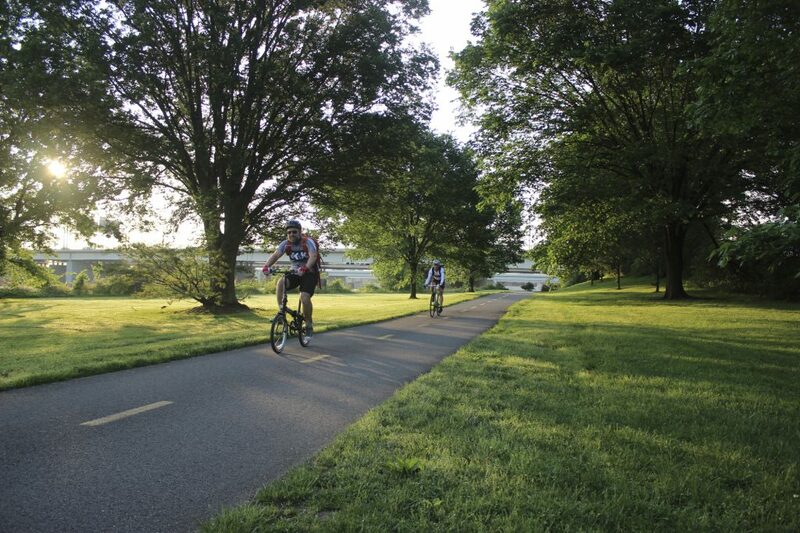 Sign up here and we’ll keep you connected to the movement for equitable, connected trails in the metro DC region!